The Ilitches say the Detroit Tigers and Detroit Red Wings "provide compelling year-round content and programming." The Ilitch organization may dip its toe into a regional sports network for Detroit teams and sports entertainment. The conglomerate, which owns the Detroit Tigers and Detroit Red Wings, said on Tuesday that it has entered an "extensive exploratory process." “FOX Sports Detroit is a great partner and we look forward to discussing renewal and extension possibilities,” said Chris Granger, group president, sports and entertainment for Ilitch Holdings Inc., in a statement. No deadline has been set to complete the process. The organization consists of 10 different operating companies across sports, food and entertainment industries. In part because the Tigers and Red Wings rank No. 1 and No. 2 in terms of Detroit prime-time TV consumption, the release said, Ilitch could be uniquely positioned to start the network. Both teams, along with the Detroit Pistons, have contracts with FSD to show their games regionally, and those contracts are believed to run into the next decade. For more than the last 10 years, the Tigers have been one of the highest-rated games regionally, compared to other teams. But, according to Forbes, ratings dipped 42 percent in 2018, a season in which the Tigers struggled to win. Still, Forbes reports that the Tigers' 2018 ratings were the No. 1 cable show in the region this past summer. 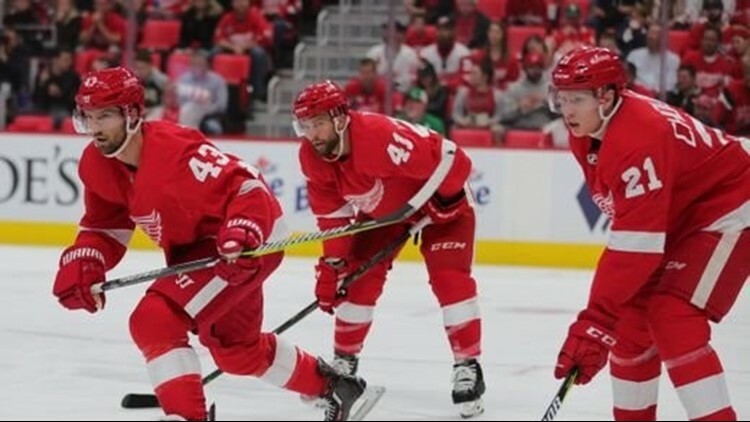 In 2017, Sports Business Journal reported the Red Wings were experiencing a dip in ratings, too. And it would follow that those ratings likely won't jump up anytime soon as the team is in the early stages of its own rebuild. Perhaps the most popular team-run TV network is the YES Network. News Corp. bought controlling interest of the network in a pair of deals totaling about $3.8 billion in 2012 and 2014. Forbes reports the Yankees plan to buy back the controlling interest of YES as a part of Disney's purchase of 21st Century Fox that calls for Disney to sell off the regional sports networks that Fox owns. Ownership of a TV network allows for revenue from carrier fees and advertising to go to the Ilitch organization, effectively cutting out the middle man.